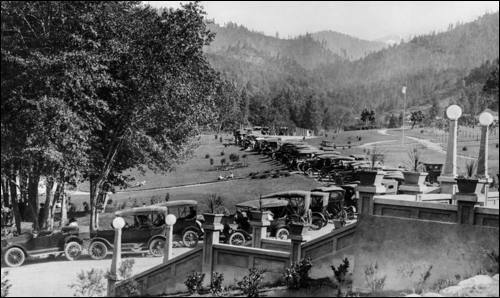 In 1914 or 1915, my grandfather, Frederick Armstrong Daugherty, planted sycamore trees in Lithia Park in Ashland. 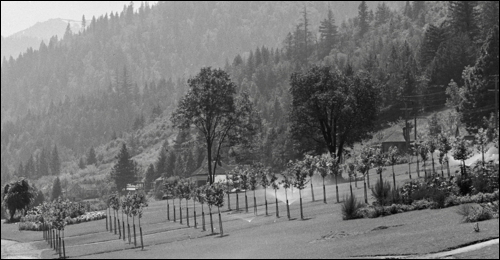 He'd grown them in his nursery, and when the park folks asked around for enough trees to fit the master plan of the new park, Grandpa had them. I spent days and days in that symmetrical grove growing up, and later as a young storyteller, wandering from tree to tree, trying out new stories. I had a patient audience of One Leggeds, all lined up and ready to listen. And indeed, it felt like we were all related! On an Indian summer day in the 1980s, stretched out in the shade of Grandpa's sycamores, I contemplated poetry and stories as I watched autumn leaves let go and float to the ground. Just before welcoming a nap, I scribbled these words into my notebook: "Under the sycamore trees, drifting toward dreams, these words fall out of the sky and into a poem." 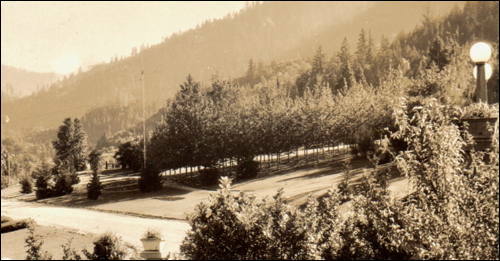 In the far right of the first photo, behind the light poles and to the right of the flag, you can see rows of stakes holding up the young trees. 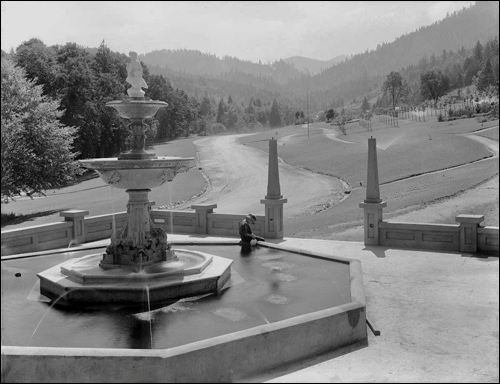 The second photo is a view of the grove in the 1930s. The third photo shows Grandpa Fred in 1943, sitting on a favorite rock near the grove in 1943. I spent a lot of time sitting on that rock before I discovered this photo of Grandpa on the same rock. Huh! And the last photo is the grove on a winter day in 2018.